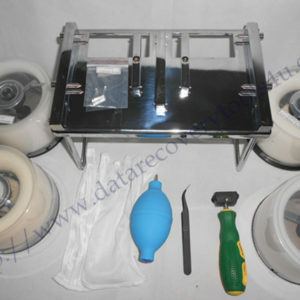 Dolphin data recovery engineer met one interesting Seagate hdd recovery case belonging to 5400.6 Series-ST9500325AS. When this case was received, the client told our engineer his external hdd dropped to the hdd and couldn’t be detected any more in his pc and no data is available.For dropped hdd, the first thing is to have one 3 seconds’ power-up test and see if the hdd is clicking or not or have any other unusualy noises such as head dirty noises, head sticken noises, head Clunking noises, head grinding noises, etc. After this initial test, the head seemed ok without obvious damage and connected the hdd to DFL-SRP USB3.0 for DE, the hdd was amazingly ready and detected, the engineer immediately set up the head map and found head 0 was very weak. The engineers imaged very fast and head 1 and head 3. and on head 2, the imaging became very slow and after some time, the hdd lost the ready status and couldn’t be ready and detected any more but no obvious clicking noises. 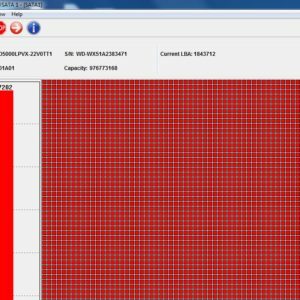 The engineer powered off the patient hdd and left it outside for about one hour, during this winter Season here, the hdd temperature decreased very fast, power it on and the hdd came back to be ready and SRP continued imaging the remained heads and got remained data.